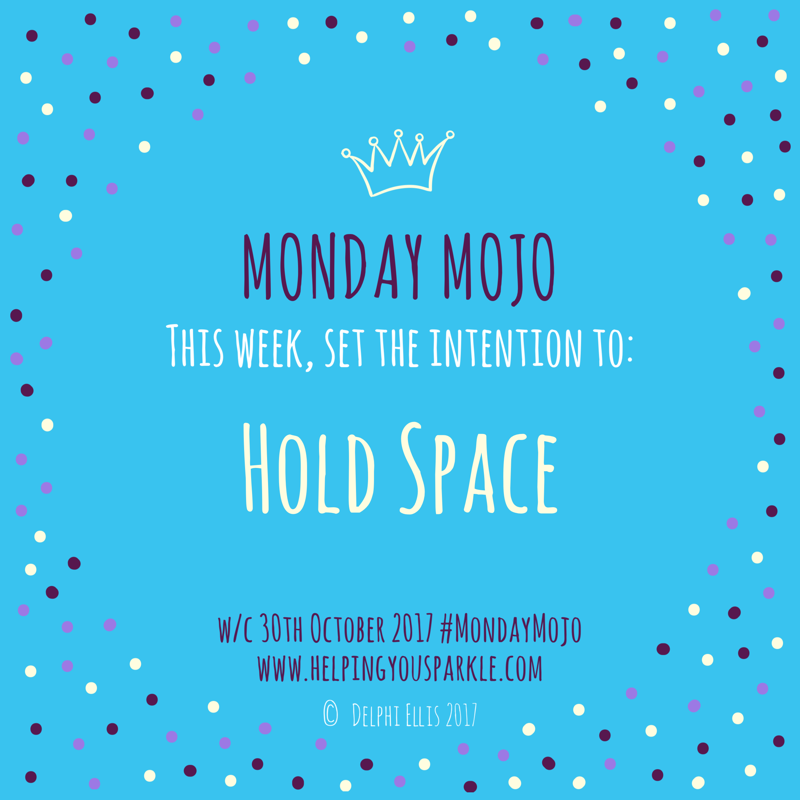 Monday Mojo – feel-good motivation for the week ahead: Hold Space. These days, we try to look like we’re holding it all together. We put on a brave face. But we really don’t have to do that anymore. The world is changing. There is a growing movement where we are creating space for people to talk about what’s on their mind. Friends are in each other’s corner. People are asking “how are you really”? We’re showing our vulnerability. And that’s okay. This week, set the intention to Hold Space. Pick up the ‘phone or drop a friend an email and ask to meet for a cuppa. Create a space where you can talk freely. Switch off your ‘phones, take an interest in each other and spend time picking it apart (whatever “it” is) and putting it back together again.